Bankruptcy - Law Offices of George W. Klein & Assoc. Law Offices of George W. Klein & Assoc. getting a new financial start. The Law Offices of George W. Klein & Associates concentrate in the areas of New York Bankruptcy Law. As Bankruptcy lawyers we handle both Chapter 7 and Chapter 13 Bankruptcies for individuals, partnerships and/or business filers. Our services include the counties of Queens, Kings, Staten Island, Bronx and New York, as well as Nassau, Suffolk and Westchester counties. The Bankruptcy laws are established for the purposes of giving individuals and business entities a fresh start and eliminating debts owed to various creditors, credit card companies, auto loans, judgments and liens. Certain categories of Federal and New York State Tax debts, tax liens, and tax warrants, as well as certain categories of student loans, can be either eliminated or reduced through the filing of a Chapter 7 Personal Bankruptcy. Commencing a Chapter 7 or a Chapter 13 Bankruptcy Proceeding will also help to resolve frozen bank accounts, garnishment of wages, and certain mortgage and foreclosure actions, including re-possession of your car. While there have been some changes over the last years with regard to filing requirements for both Chapter 7 and Chapter 13 Bankruptcy Filings, the Bankruptcy option remains fully available. Because of the recent financial difficulties, more and more individuals and businesses have filed Chapter 7 and Chapter 13 Bankruptcies. Q: What information is required to be included in a Chapter 7 Bankruptcy? Q: Can I keep some of my property if I file for Bankruptcy? A: Most of the individuals who file for Chapter 7 and Chapter 13 Bankruptcies, do not lose their property and do not have to give up all of their assets. Our offices, as your Bankruptcy Attorneys, will evaluate each situation and tell you in advance what assets you can expect to keep. Q: Can I still file for Bankruptcy if a Mortgage Foreclosure has been commenced? A: If a Foreclosure Action against your home has been commenced, it is probably most appropriate to file a Chapter 13 Bankruptcy Proceeding (please refer to further details below). Again, our offices, as your Bankruptcy attorney, will assist and guide you through this more complex Bankruptcy Proceeding which is explained below. Q: How quickly can Bankruptcy be filed? A: Once we obtain the necessary information, our offices can prepare the necessary petitions and related documents within a matter of days. A: A Chapter 7 Bankruptcy is an application for a court order (a “Bankruptcy Discharge”) that will release the individual debtor from personal liability for most debts and judgments and prevents the creditors, to whom these debts are owed, from taking any further action in collecting on the debts. In the vast majority of cases, if the paperwork is properly filed, the individual Debtor receives a “Bankruptcy Discharge” from the Bankruptcy Court and once this Bankruptcy Discharge is received, the debts are cancelled. Also, in the majority of cases, the Bankruptcy Court will issue a Chapter 7 Bankruptcy Discharge within sixty (60) to ninety (90) days after the First Meeting of Creditors is held. The First Meeting of Creditors takes place approximately thirty (30) to forty-five (45) days after the Chapter 7 Bankruptcy Petition is filed with the Court. Therefore, the entire Chapter 7 Bankruptcy Proceeding can usually be completed within a four (4) month time period. Again, once the Bankruptcy Proceeding is completed, the Debtor is no longer liable for the debts, and all collection efforts, including foreclosure, wage garnishments, re-possessions of automobiles and/or other personal property, end and court actions and lawsuits of creditors must be discontinued and withdrawn. Q: What is a Chapter 13 Bankruptcy? A: A Chapter 13 Bankruptcy is an alternative to a Chapter 7 Bankruptcy, under the Federal Bankruptcy Law, which allows the Debtor to keep all of his or her property while repaying creditors. Generally, for a Chapter 13 Bankruptcy filing, the Debtor will be an individual with regular income. 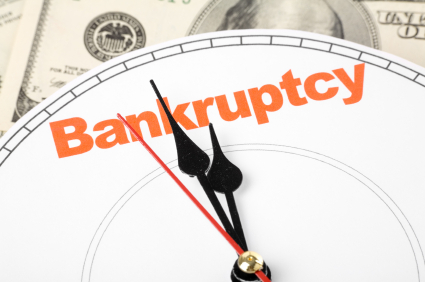 Unlike a Chapter 7 Bankruptcy, a Chapter 13 Bankruptcy Plan allows for monthly payments by the Debtor to a Bankruptcy court representative(Bankruptcy Trustee) for a period of three (3) to five (5) years following a Payment Plan submitted by the Debtor and which is filed with the Court. Most importantly,then Chapter 13 Payment Plan provides Debtors with the structure for stopping mortgage foreclosures and repossessions of cars and other personal property. Once the Chapter 13 Payment Plan has been accepted by the Bankruptcy Court, the Plan is then approved at a confirmation Hearing at the Bankruptcy Court. Any past arrears in the mortgage payments are also addressed in the Chapter 13 Payment Plan. Therefore, even though a Debtor is significantly behind in their mortgage payment, as long as the Debtor has a regular income which is adequate to at least pay the mortgage and taxes on the property, the Debtor is allowed up to five (5) years to catch up on any past arrears in the mortgage payments. Again, because of the complexities involved, only a qualified Bankruptcy attorney, such as the Law Office of George W. Klein should be retained. Q: Do I have to give up all of my property if I file for Bankruptcy? (1) Equity in your House, Cooperative Apartment or Condominium – The Bankruptcy Debtor in New York City, Nassau, Suffolk, Westchester and Rockland counties can retain equity in his house, cooperative apartment or condominium up to an amount of $150,000.00 for a single filer, or an amount of $300,000.00 in cases where there are joint filers (i.e. both spouses). Even if the property has to be given up for some reason, Bankruptcy Debtors can still hold on to the exemption, meaning that if the property is sold and there is money left over and above the mortgage amount, the Debtors receive this excess amount of up to $150,000.00 for single debtors, or up to $300,000.00 if husband and wife file jointly. This equity is for the Debtor to keep, whether or not the Debtor has any claims from any other creditors, such as credit cards. (2) Cash – Generally the Bankruptcy Debtor can retain cash in the amount of $5,000.00 for a single filer, or an amount of $10,000.00 for joint filers. This amount can include cash in the bank account, tax refunds or similar other cash accounts. (3) Household Goods – The Bankruptcy Debtor can generally keep all of the household goods, which generally include all furniture and household belongings. Also, the Debtor can keep all wearing apparel except for expensive items such as furs or significant valuable jewelry. (4) Automobile – The Bankruptcy Debtor can keep any car which is valued at less than $4,000 or where the value of the car less than the amount that you owe for any car loans is less than $4,000. This amount is again doubled if you are filing with your spouse. (5) Pensions, IRA’s 401K’s and any other retirement accounts – The Bankruptcy Debtor can generally keep all of its retirement plan accounts as they are considered to be exempt assets. Similarly life insurance can be kept with out any limitation as they are generally deemed to be exempt assets. (6) Unemployment, social security disability, workers compensation and other such benefits – there is no limit and all such benefits can continue to be received and kept. Q: The Benefits of a bankruptcy filing? (7) Get a new fresh start and be able to stop payments on all those extra penalty and interest charges from credit cards and other qualified debts. A: Our offices will be able to put a stop to the harassment and give you advice as to how to avoid incurring debts in the future. Our office has a great deal of prior experience in handling bankruptcies and we will treat you with the respect and dignity that you deserve. We will evaluate which particular Bankruptcy Proceeding is for you and promptly prepare all of the necessary paperwork for either Chapter 7 or Chapter 13 Bankruptcy and arrange for the filing of same with the appropriate Bankruptcy Court. We will also take all necessary action to stop any foreclosures, wage garnishments or other collection actions, promptly upon the filing of the Bankruptcy Proceeding. As your Bankruptcy attorney, we will accompany you to the Meeting with the Bankruptcy Trustee and prepare you in advance with regard to the kind of questions that you may be asked at the Meeting. In the case of Chapter 13 Bankruptcy filings, we will also accompany you to both the initial Meeting, as well as the subsequent meetings until the Plan that we propose to the Court is accepted by the Bankruptcy Judge. Furthermore, in the event you have difficulties making the payment for our fees, we will work out a payment plan with you.